What Death Leaves Behind red carpet screening is sold out at The Prince Theater. UK Film Review says What Death Leaves Behind "evokes the hypnosis sequence from Jordan Peele's sublime Get Out." U.S. Blasting News says "the magnificent Shaira Barton plays his stressed-bringing, overworked wife. 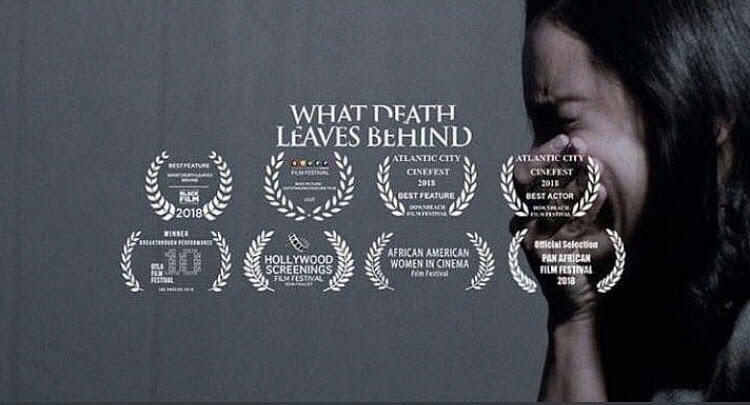 What Death Leaves Behind takes viewers on a Hitchcockian journey..."
News about the feature film "What Death Leaves Behind" (formerly "The Kidney") coming soon. The award-winning sports drama "TRI" is now available in Germany, Austria, Switzerland and Luxembourg. Check it out on iTunes, Amazon, Google Play and Microsoft. For more information visit www.triforcure.com or follow TRI on social media @TRImovie on Facebook and Twitter. Shaira Barton is proud to join the cast of the film "El Oso", shining a beautiful light on Puerto Rican culture. A project that is near and dear to her heart. Shaira Barton joins the prestigious Kathleen Schultz Associates Talent Agency roster. Shaira Barton joins another stellar cast in a period feature film featuring the life and times of a historic icon. TRI is now available on digital HD on iTunes, Amazon, Google Play, Sony Entertainment Network, and iN Demand.